Today was another day on furlough, and what better way to spend my morning and afternoon but walking all around the city. Let's take a tour, shall we? 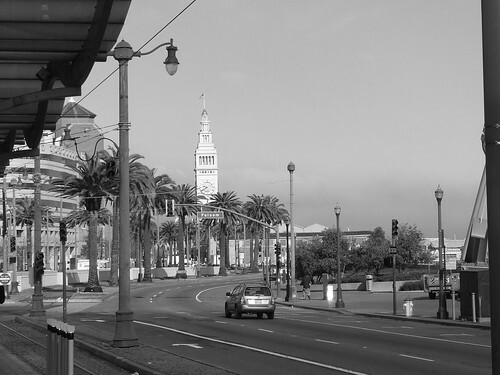 First stop was at the Folsom platform for the N-Judah/T-Third line for a walk along the public shore towards AT&T Park. Here's a great view facing Northwest from the platform. 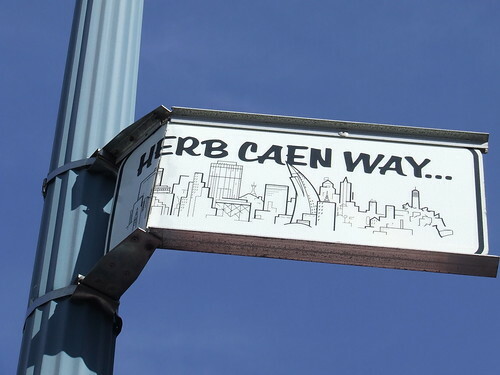 The legendary Herb Caen, oh how he is missed around our great city. I hope the city fixes this sign. How does it get bent like that when it's up so high? 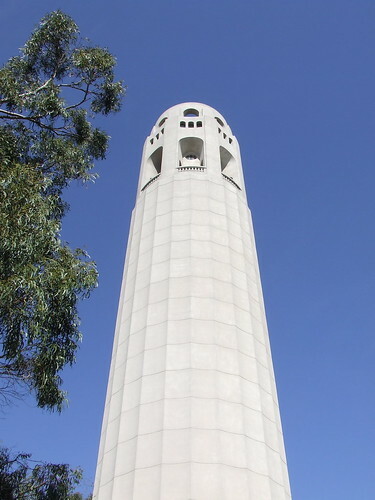 It's off to the legendary Coit Tower where the views are outstanding and you hear the wild parrots of Nob Hill. You can pay to head to the top, or just get your camera and just walk around the surrounding area for wonderful shots. With at least a 10X optical zoom, taking photos from Coit Tower is wonderful. 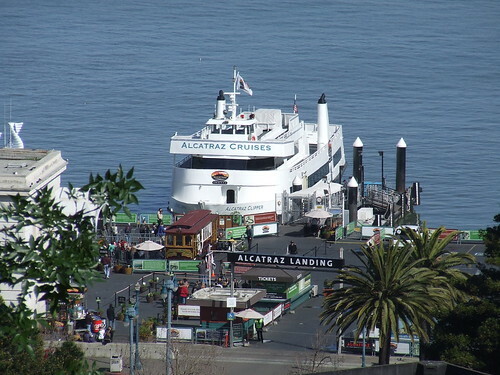 This shot is of the Alcatraz Cruises terminal. I've never been to Alcatraz (sad, ain't it?). 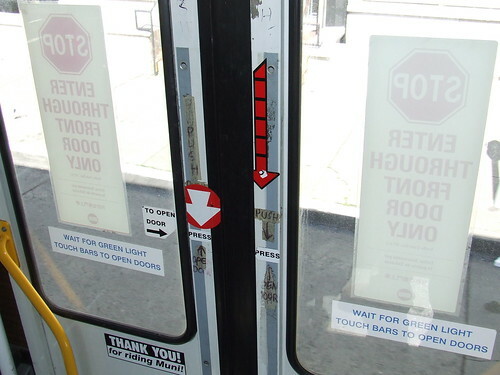 This is what happens when Muni is piss poor and people fare evade... they can't afford the push bars! Off to the California Academy of Sciences! Ever been in the Osher Rainforest? It's really humid in there, but the butterflies and birds makes it really special. 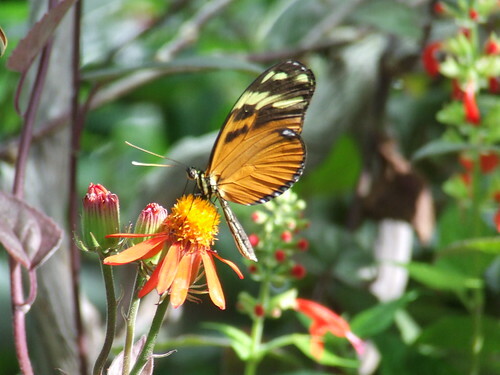 Here's a great shot of a butterfly. 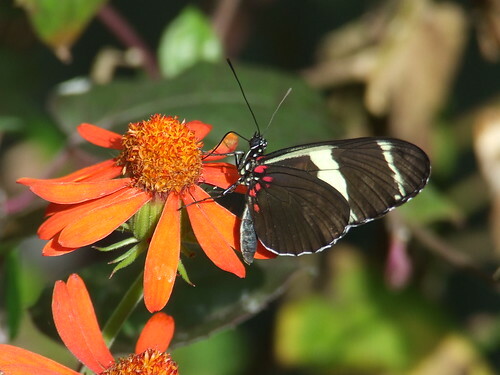 Here's another great photo of a butterfly!